NASHVILLE- Leaders from the U.S. Army Futures Command, the 3rd Brigade Combat Team, 101st Airborne Division (Air Assault), and Vanderbilt University signed an Education Partnership Agreement during an event celebrating their continuing partnership April 9th. 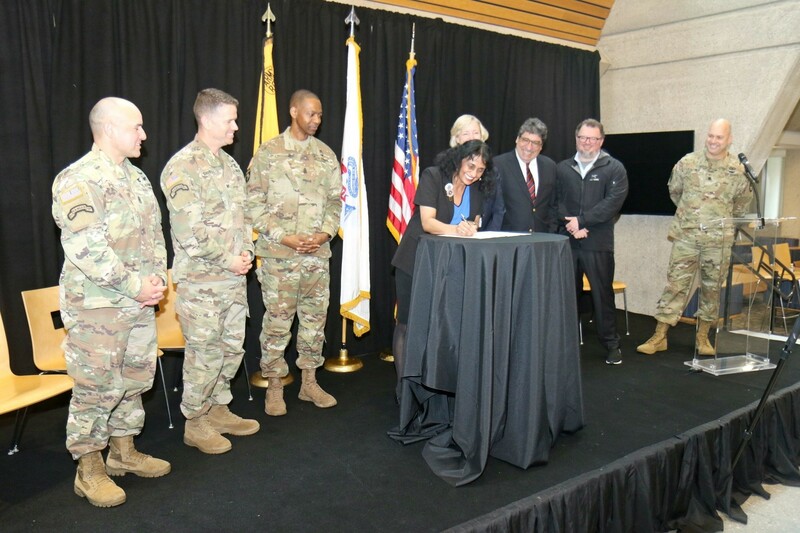 Army Futures Command, which activated in 2018 to help modernize the fighting force, has already fostered partnerships across the Army with private and public organizations, ranging from NASA to Virginia Commonwealth University to help accomplish its mission. From offering grants for scientific study to working with partners to prepare against an ever-changing battlefield, AFC has continued to seek out ways to challenge emerging threats. Command Sgt. Maj. Michael Crosby, the Senior Enlisted Advisor for AFC, said that the agreement would help Soldiers take a front seat in the innovation process, where they can 'fail fast' by stressing the systems in austere environments to find issues, work with engineers, and develop better systems for Soldiers to use in the field. "I think it's going to be a mutual benefit between academia and the Soldiers," Crosby said. "It's going to extend across other universities and other units to help with emergent, disruptive technologies so we can advance some of those processes in modernization." 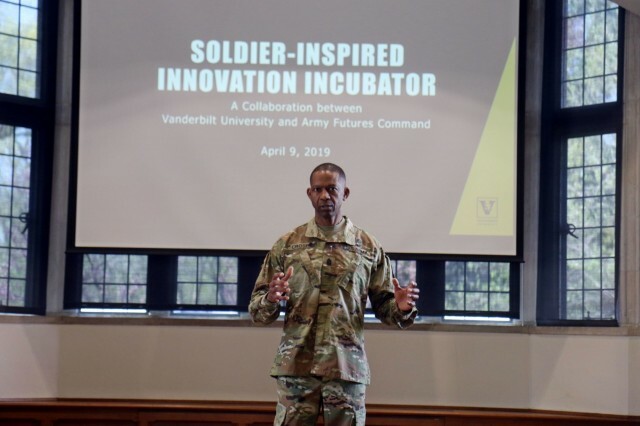 That search for innovation brought Crosby's attention to 3rd BCT and their ongoing partnership with the Wond'ry - Vanderbilt University's cross-domain innovation center. 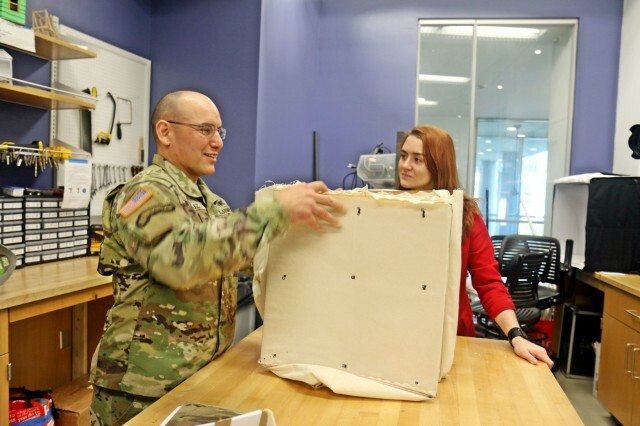 The 3BCT "Rakkasans" have worked with the Wond'ry staff over the past two years, starting from simple 3D printing ideas to cutting-edge production of equipment for the 21st Brigade Engineer Battalion, which allowed them to streamline the manufacturing process. Alongside 3BCT's efforts in innovation, from the Distributed Mission Command concept that allows their command nodes to move quickly and survive on the battlefield, to testing out new technologies and writing for Army journals to include Army Acquisition, Logistics and Technology Magazine, the Rakkasans continues to incorporate innovation from the Soldier to the Command Team. Col. John Cogbill, commander of 3rd BCT, said his unit wanted to leverage technology to make the unit more effective, but that they couldn't do it by themselves. That concept led them to Vanderbilt, and now it's time to pass that success to the rest of the Army. "If we do this right, if we use this model correctly, we can scale this across the United States Army," Cogbill said. "Ten divisions. Every division should have a partner like Vanderbilt, where we can collaborate and find ways to make us better." The day began at Vanderbilt's Nachez Field, where leaders from 3rd BCT held a physical training session with Vanderbilt Reserve Officer Training Course.. Cogbill told the cadets that leadership begins by setting the example for the Soldiers they lead, which begins with physical fitness. Lt. Col. Dustin Mitchell, the Professor of Military Science at Vanderbilt, said that the proximity and engaged leadership at Fort Campbell was a great benefit for the cadets at the university. "We're using this event as an opportunity to host a little bit of mentorship for the cadets," said Mitchell. "They can see how a professional, elite Army organization interacts and gives their all during physical fitness. It's going to be a huge benefit.."
Later that morning, the organizations met to sign an Educational Partnership Agreement, which sets the foundation for a partnership between 3rd BCT, Vanderbilt, and AFC. The agreement also serves as an example for other units to follow with nearby centers of learning, with AFC hoping to re-create the success elsewhere. Doug Adams, the Chair and Distinguished Professor of Civil and Environmental Engineering at Vanderbilt, said that the opportunity to have a major impact and work alongside Army Futures Command was exciting, and that they look forward to bringing students and Soldiers together. As Soldiers bring their experience with them to the process, they give students new problems to solve and new understanding of what the Soldiers face every day, said Adams. "Whether it's about combat vehicles or future vertical lift or about Soldier performance, I think what we want to get out of it is to make that impact we're talking about," said Adams. "You bring all the interesting ideas and scenarios. 'In this mission, we have to do this.' So it's that bringing together of the people who have first-hand knowledge and insight with people who have great solutions." After signing the agreement, Dr. Kevin Galloway, Director of Making at the Wond'ry and Research Assistant Professor of Mechanical Engineering, gave a 'Soldier Inspired Innovation'-tour, highlighting the creations that came about from the cooperation between Vanderbilt and the 101st. Some of the example prototypes he presented included 3D-printed reactive material architectures, wearable exoskeletons to help prevent overuse injuries and improve performance, and new materials that can be used in 3D printing. "It's permission to innovate," Galloway said. "The stuff we were doing, we were interested and passionate about it. But now that it's getting recognition I think it's going to inspire more Soldiers to get involved and add their ideas. Especially when they see there is a mechanism - a vehicle - that will accelerate their ideas to make them real." Michael Davies, a senior mechanical engineering-major at Vanderbilt, said that the agreement was a way to impact those around him and develop research that can save lives. "Vanderbilt is one of the premier universities in the country," said Davies. "Based on the example that Vanderbilt has set, I hope other universities will not only see that this is a good thing to aid the Soldier and impact our country, but to collaborate with other universities in order to help each other grow as institutions."